A nice benefit of having a fossil blog on the Internet is the number of people you meet who are interested in fossils from around the world. Back in October 2014, I was contacted by a coal miner in western Kentucky about identifying some the pyrite fossils he found in some of the mines there. It was great that some one in the mining industry was interested in fossils. At the time, I let him know about the Edestus shark fossils that miners sometimes find. Well, I just heard back from him and he found one of those fossils. 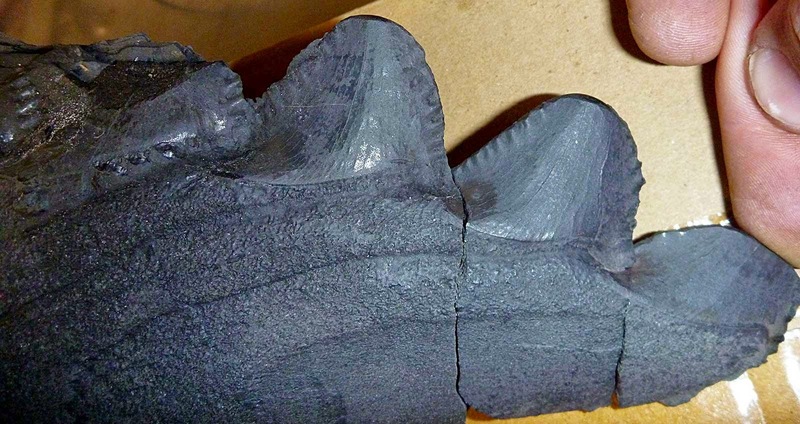 This Edestus shark fossil was found about 7-8 inches (17-20 cm) above the coal seam. This layer is a marine shale above the Springfield and Herrin coal beds of western Kentucky USA. 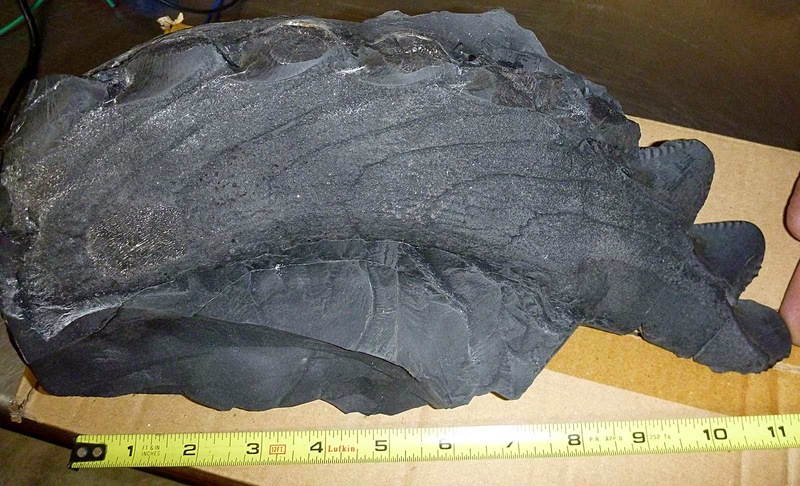 It dates to the upper Middle Pennsylvanian or Carboniferous Period (approximately 307 million years ago). 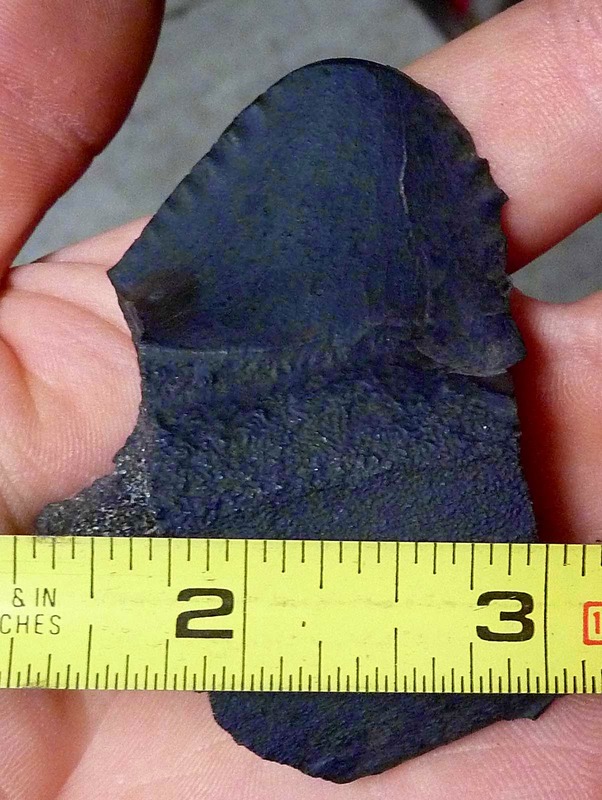 The jaw segment found is about 30 cm long and contained 8-9 teeth. Only 3 are mostly intact though. Of course if you cannot find one of these fossils for yourself, a company in Japan makes a stuffed animal version of the Edestus available here.